Your heart beats faster. Your mind knows why. The new CLS reconciles reason and emotion. 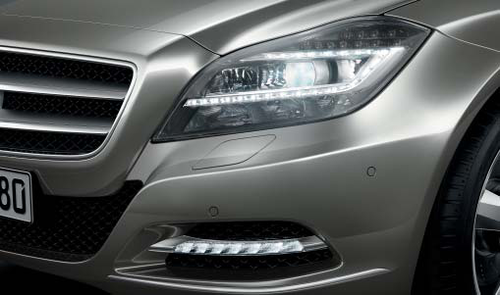 The four-door Coupé from Mercedes-Benz combines timeless elegance with expressive design like almost no other car. Passionate forms meet impressive technologies. Effortlessly superior sportiness is paired with an innovative safety concept. Extraordinary appears to be the norm, which is what makes the car so unashamedly attractive. A blend of outstanding beauty and intelligent design. Of visual appeal and technical excellence. The new CLS. The harmonious symbiosis of sensuality and sense.